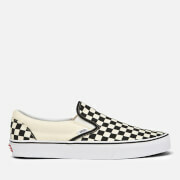 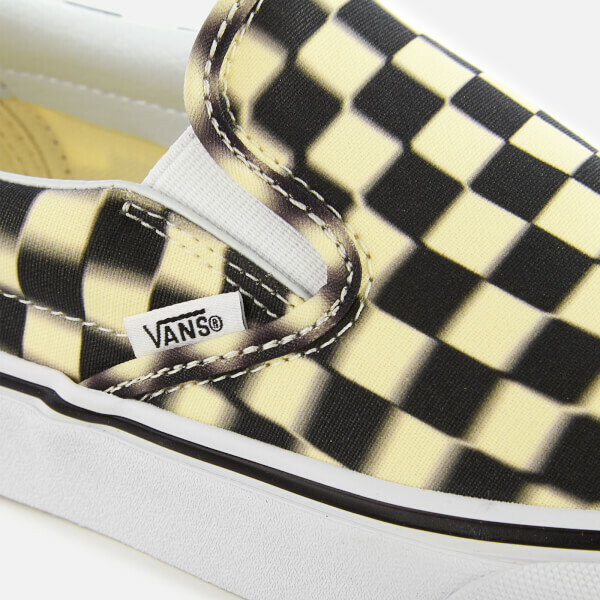 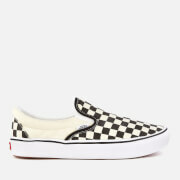 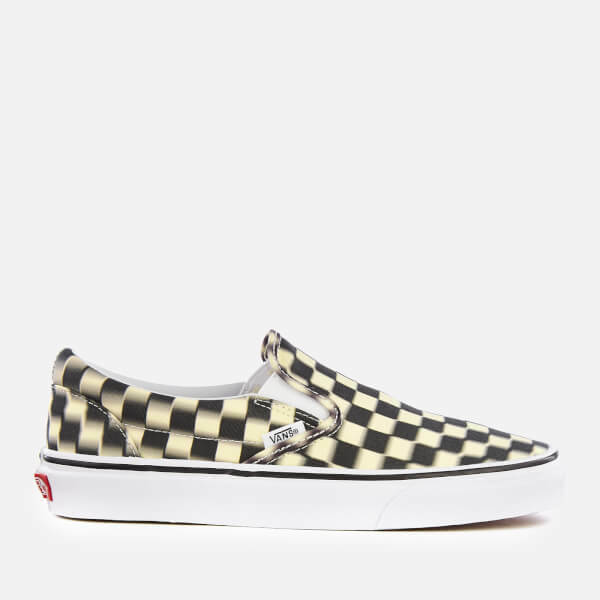 Classic canvas slip-on trainers from Vans with a checkerboard print in a blurred effect. 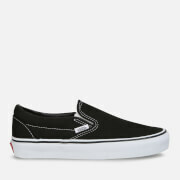 A rounded toe, a padded ankle collar and elasticated side gores form the brand's iconic low profile silhouette. 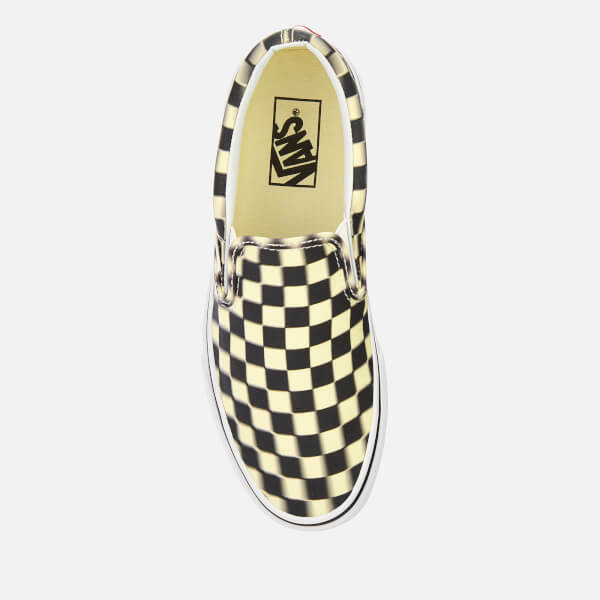 Set on a vulcanised rubber sole with the signature waffle tread. 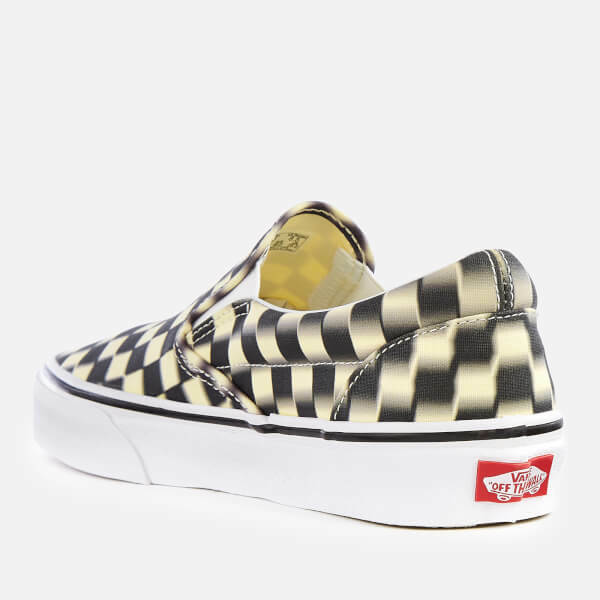 A logo tag and an 'Off the Wall' heel licence plate complete the sneakers.